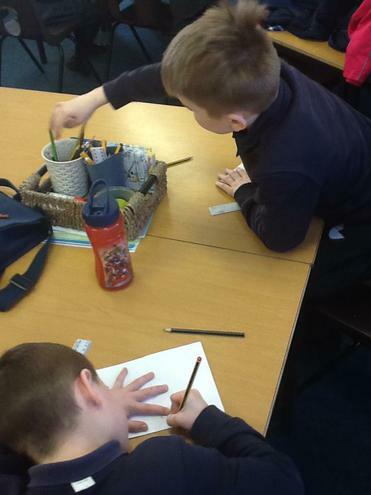 This term Chestnut are going to be doing lots of work on Famous People in History. 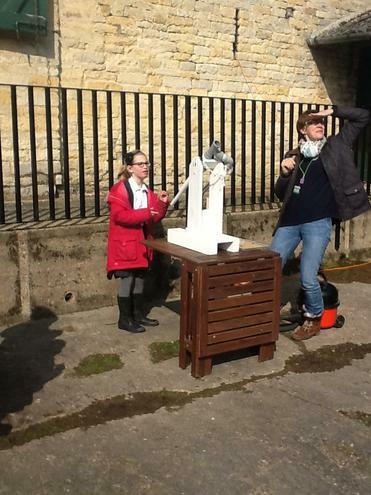 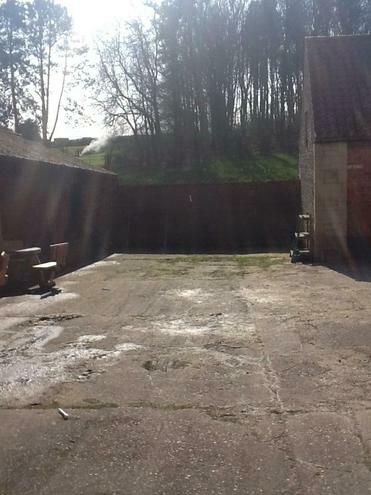 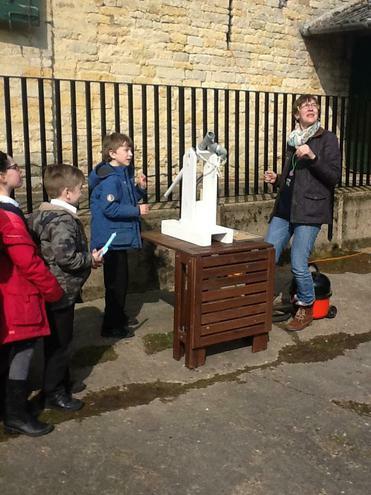 This is going to involve a trip to Woolsthorpe Manor to find out about Sir Isaac Newton. 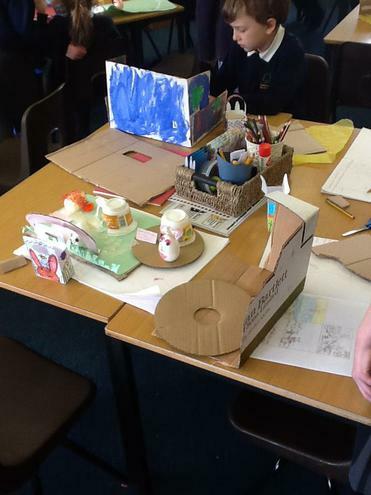 We are going to find out about Brunel as well and build some bridges using some of his ideas to see which one is the strongest. 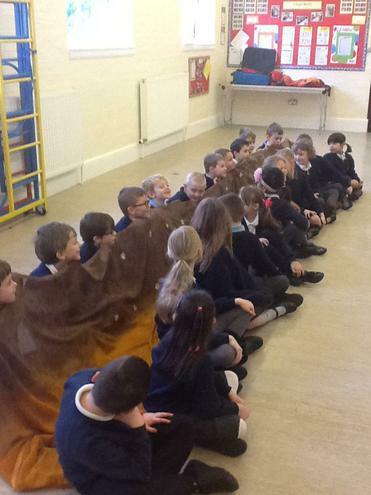 This term Chestnut class will be going swimming every Tuesday afternoon. 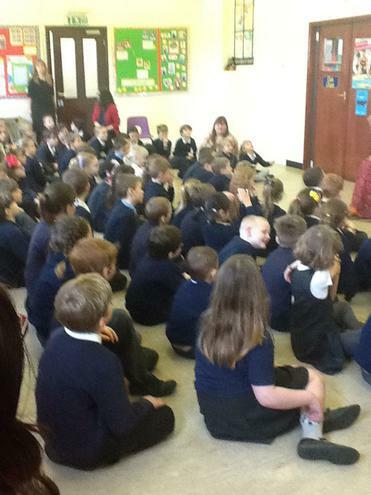 This is very exciting and some of the children have already shown off their swimming skills. 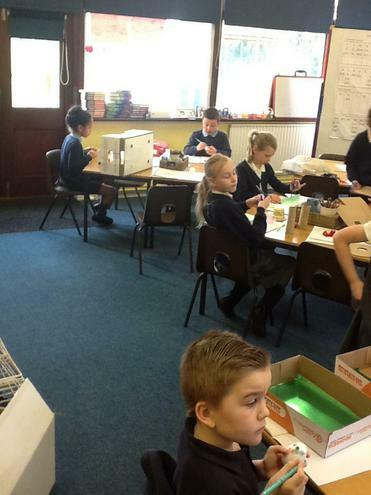 It is really impressive, keep it up! 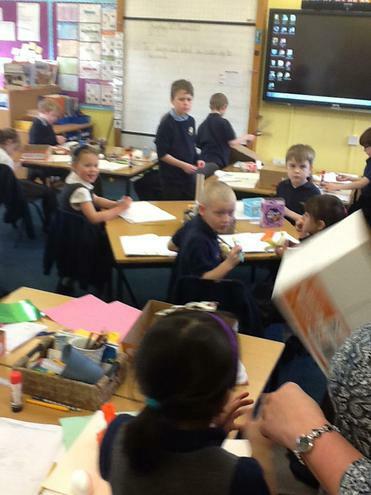 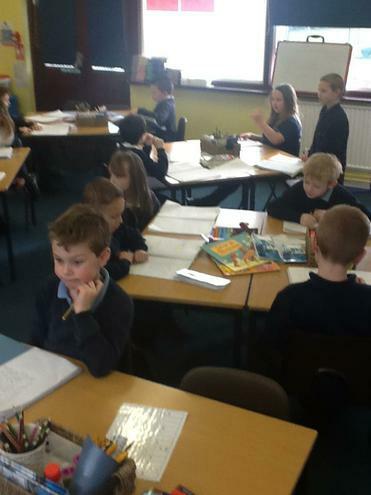 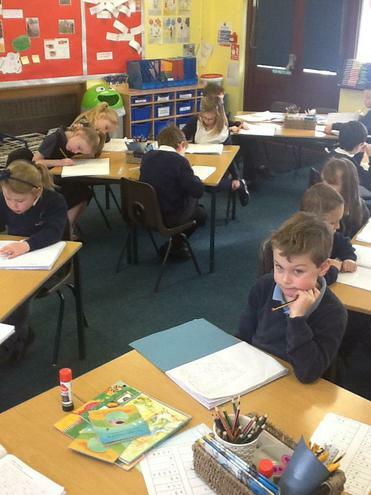 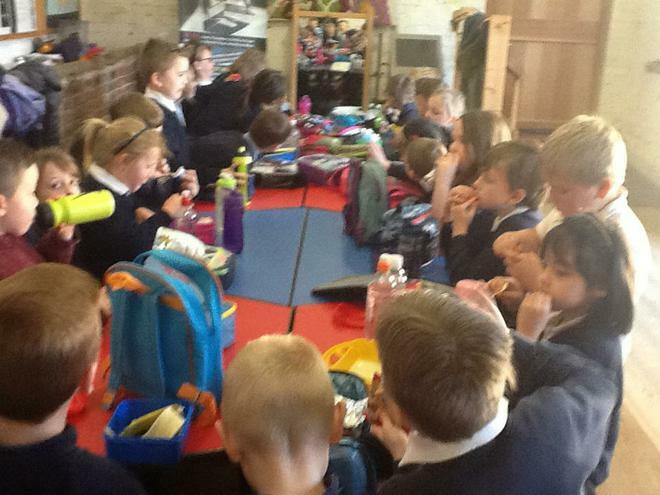 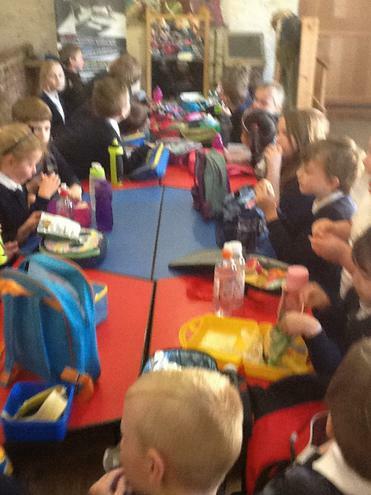 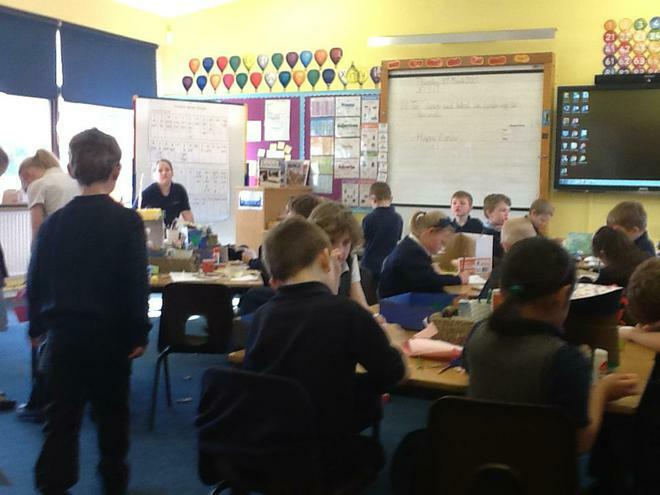 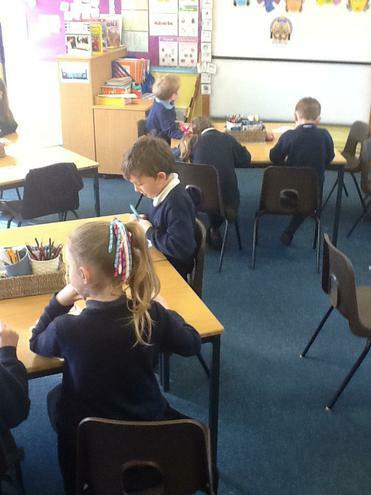 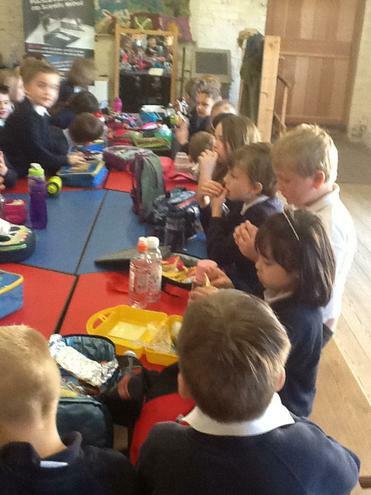 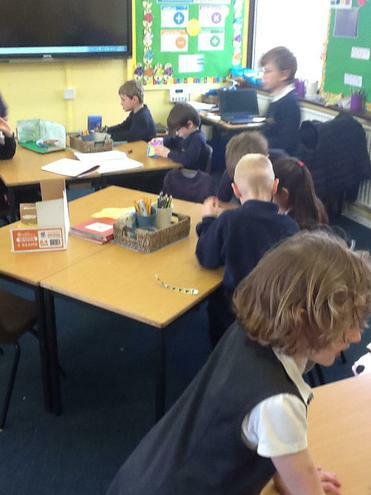 It is set to be another exciting term in Chestnut Class, with lots of learning for us to share with you. 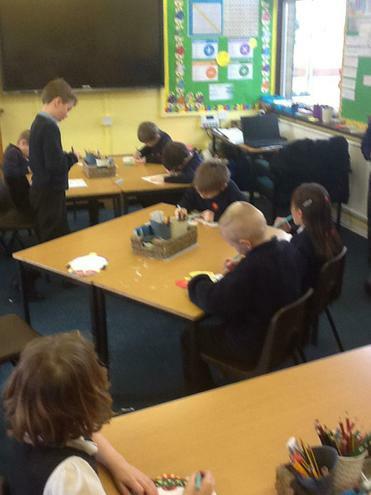 The children decorated their eggs for Easter. 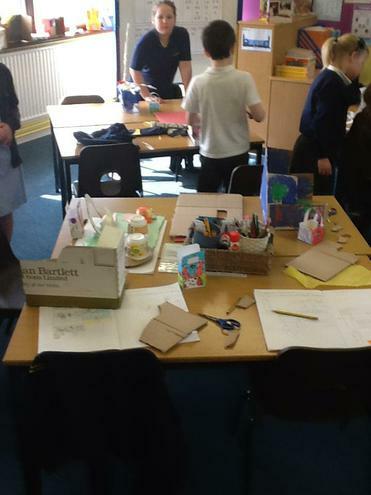 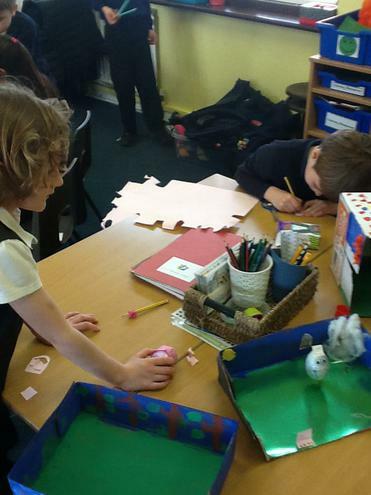 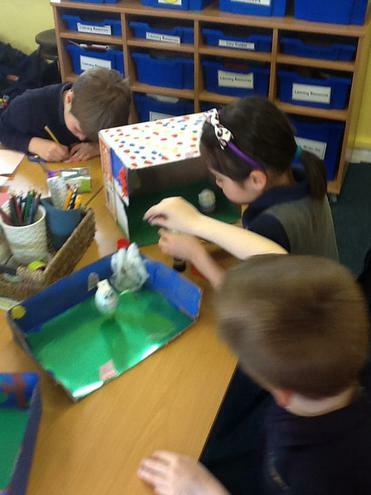 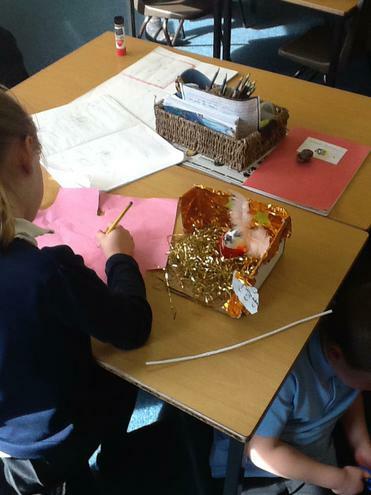 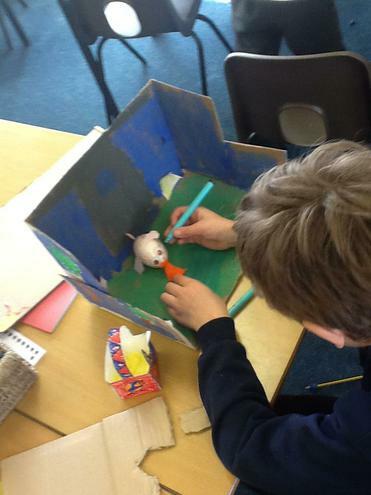 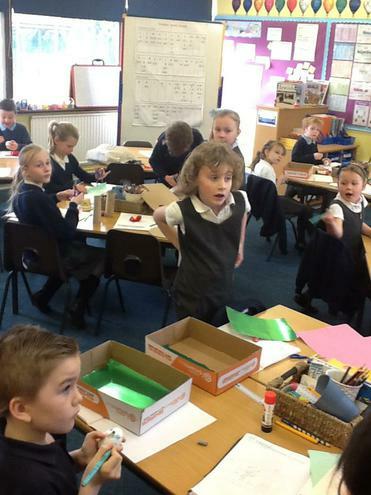 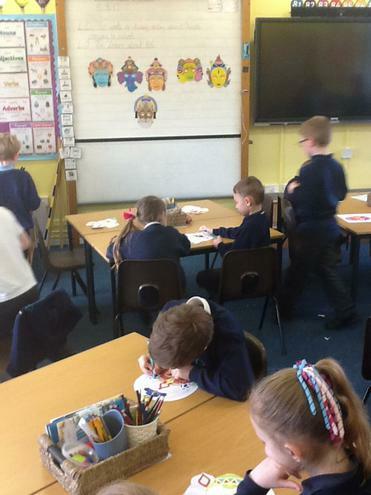 The children in Chestnut thought carefully about their designs and what they wanted to put on their eggs. 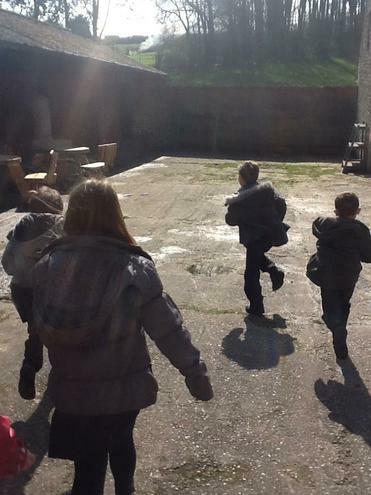 This was super day! 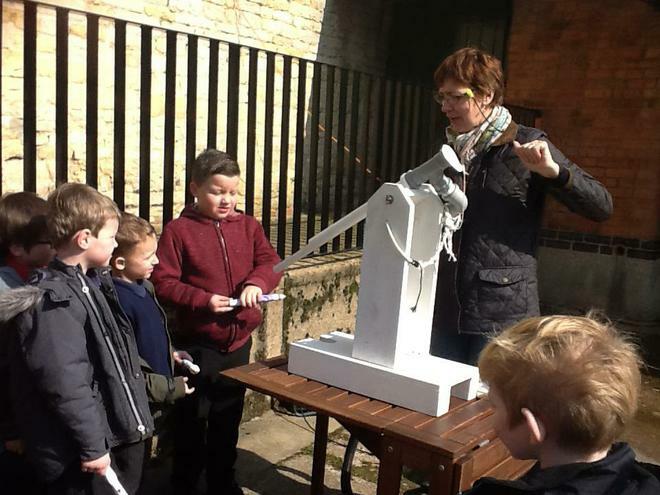 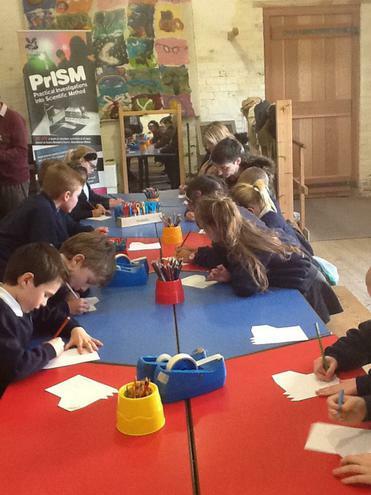 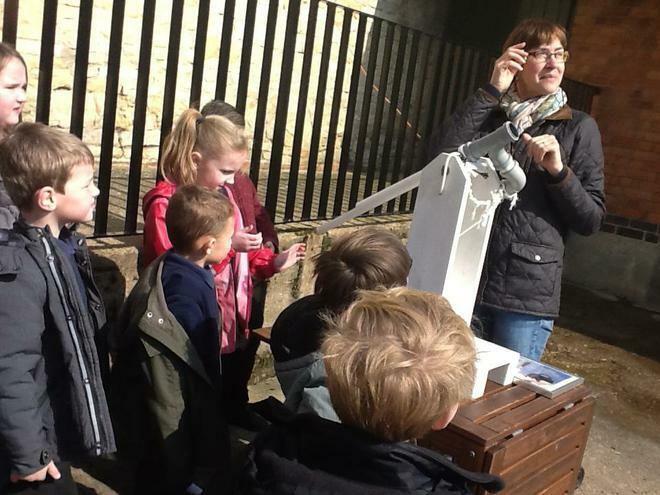 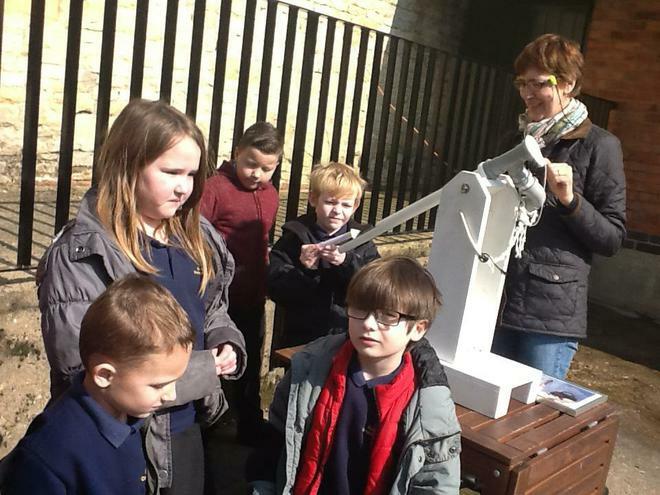 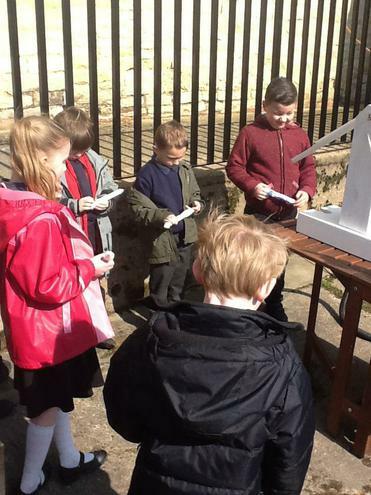 The children from Chestnut went to Woolsthopre Manor to find out about the life of Sir Isaac Newton as part of their Famous People in History topic. 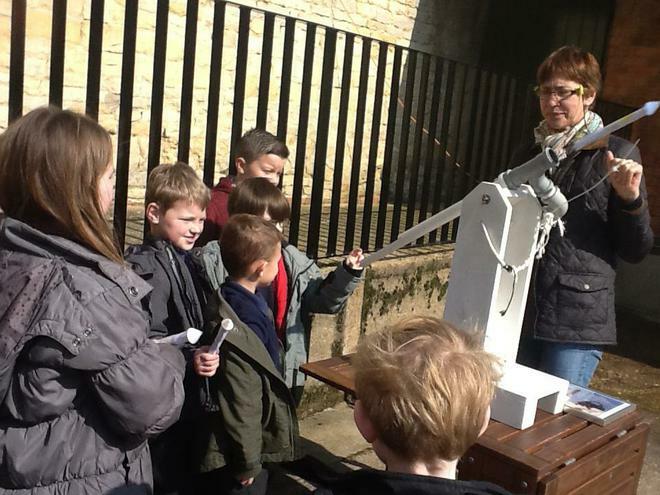 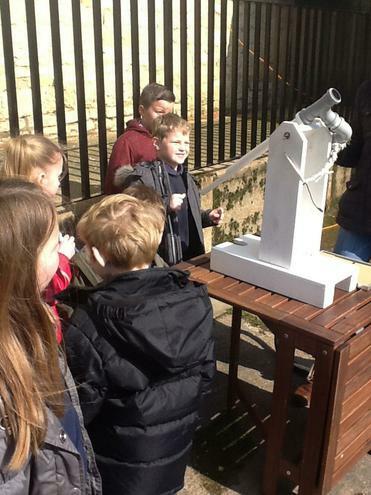 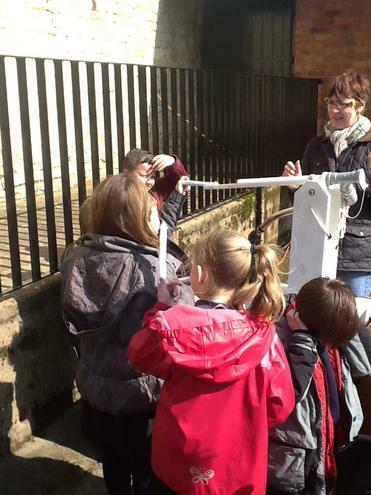 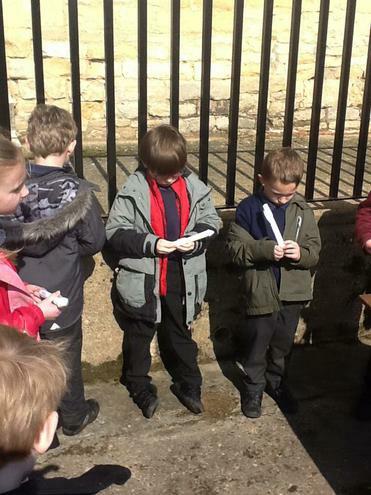 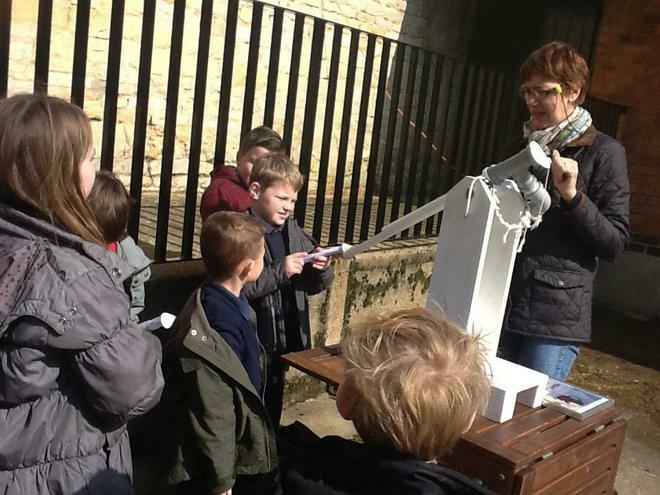 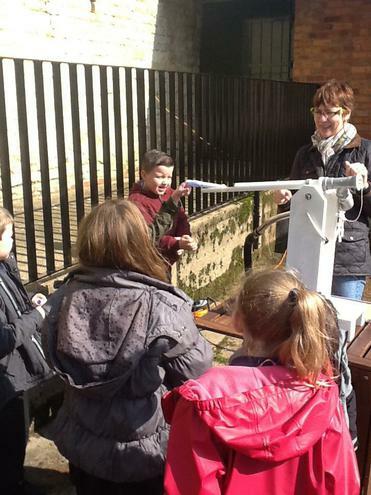 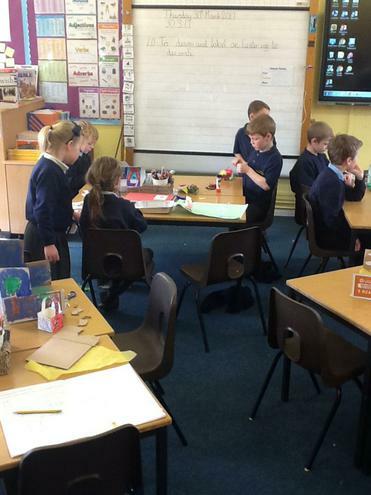 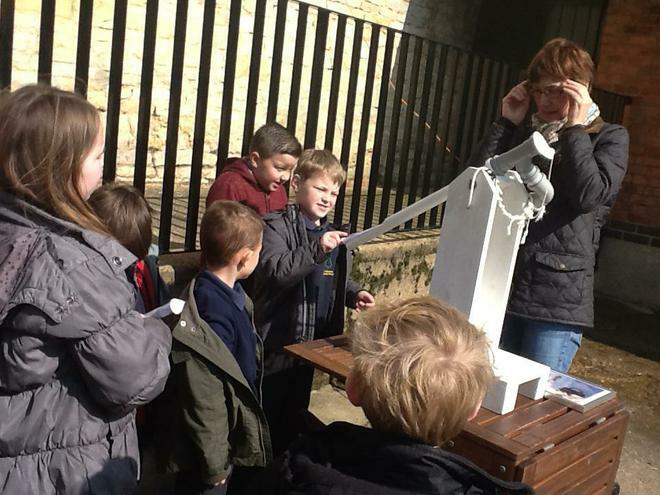 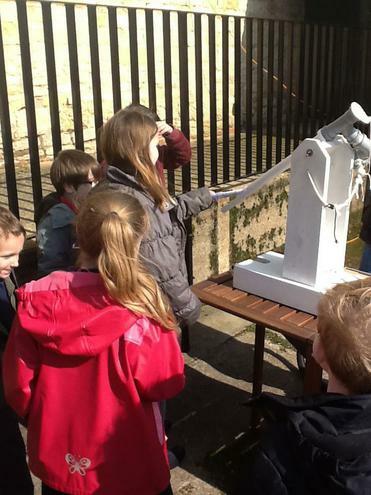 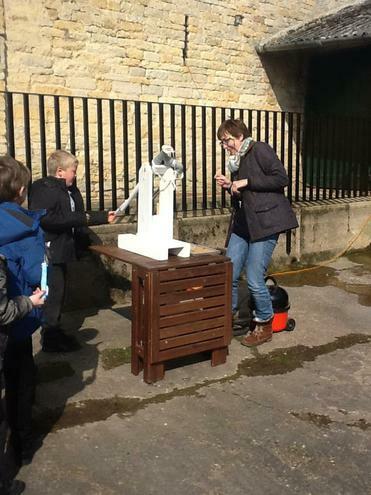 They found out about the life of Isaac Newton and what he did at Woolsthorpe during the Plague. 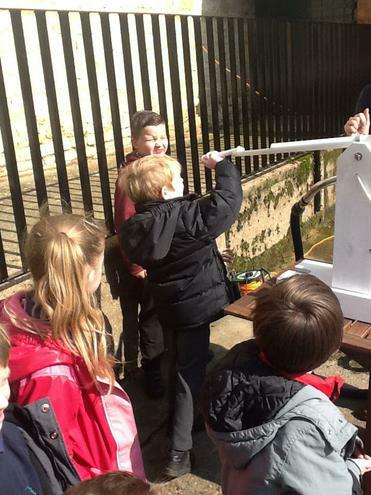 They explored the science center to find out about his discoveries of gravity and forces. 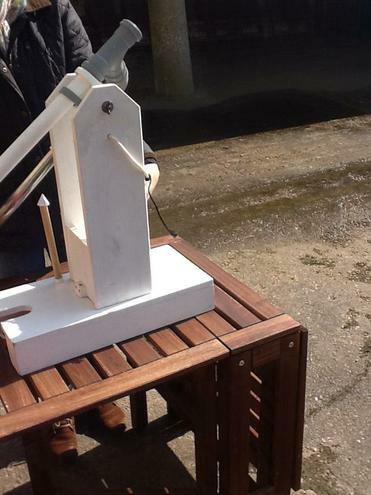 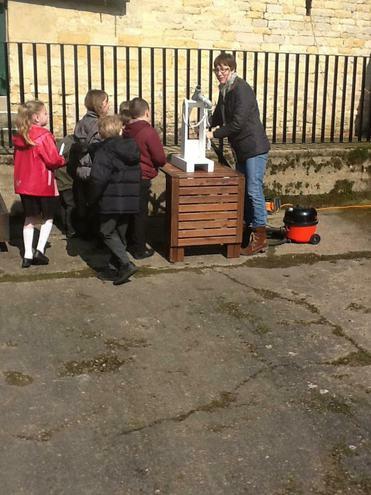 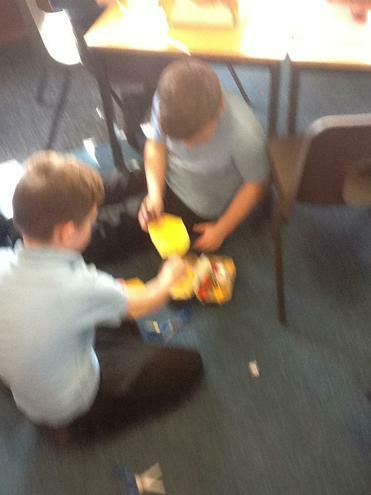 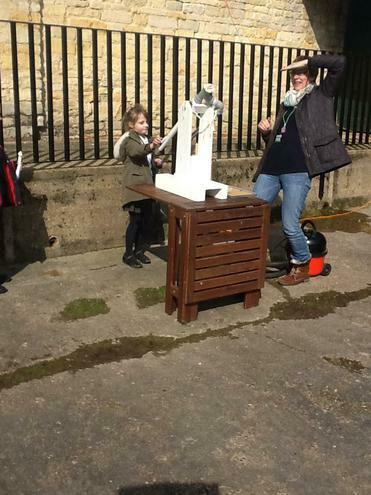 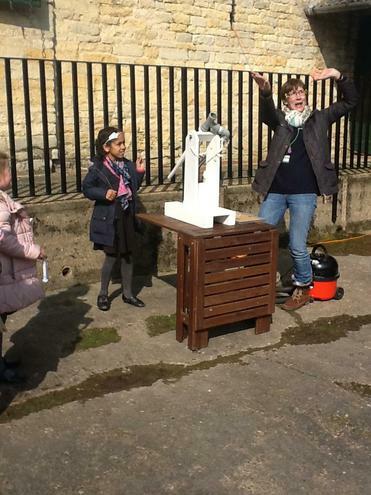 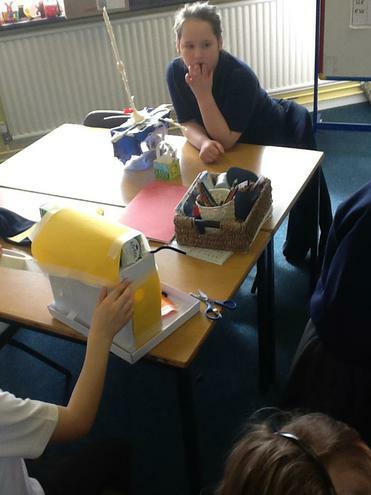 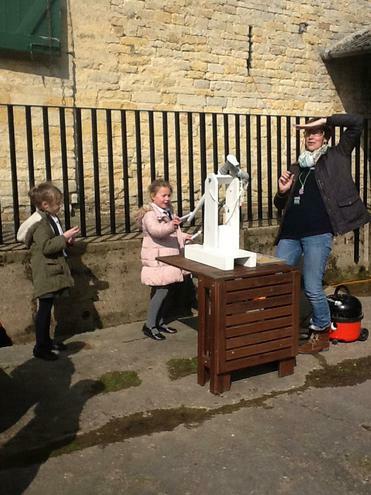 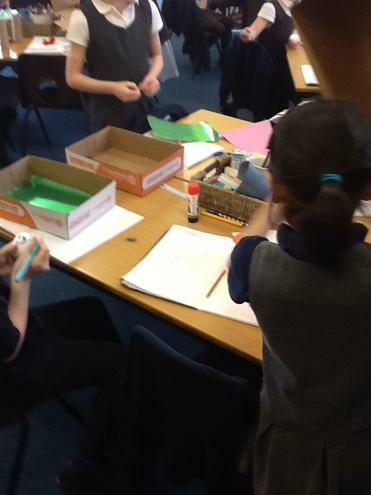 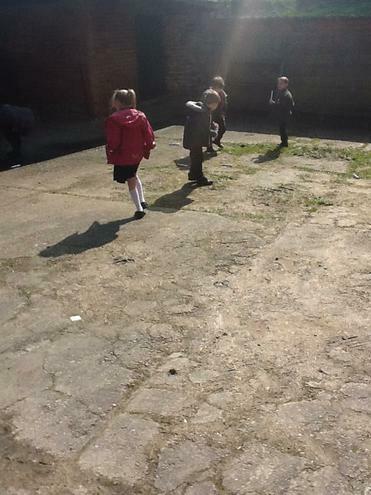 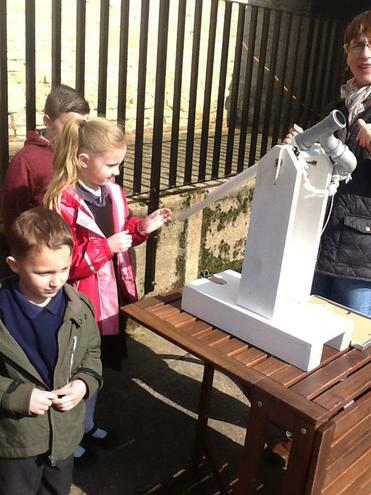 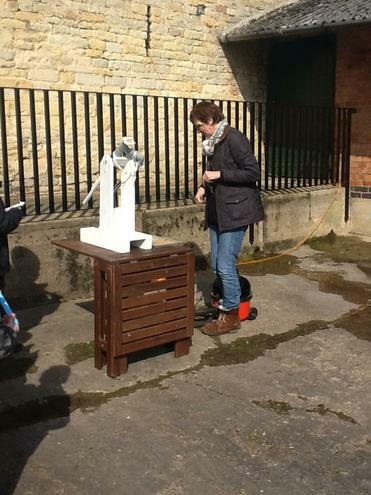 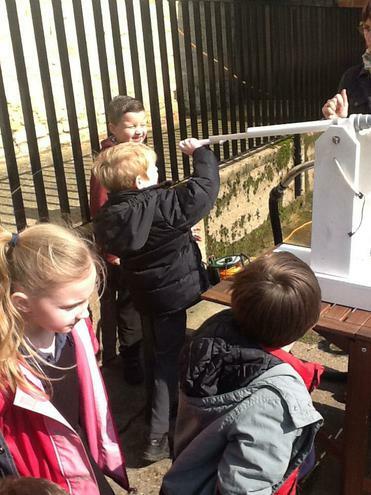 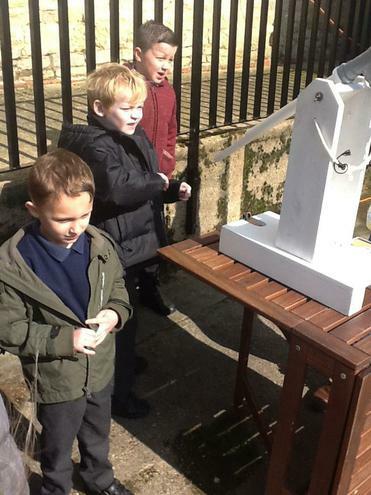 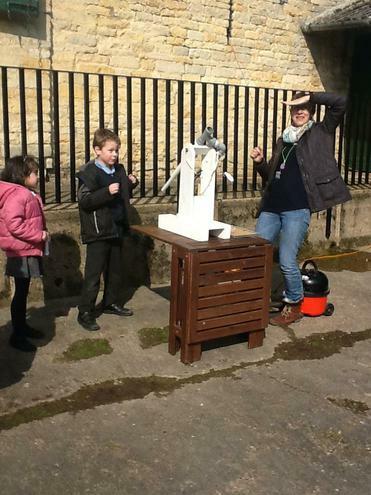 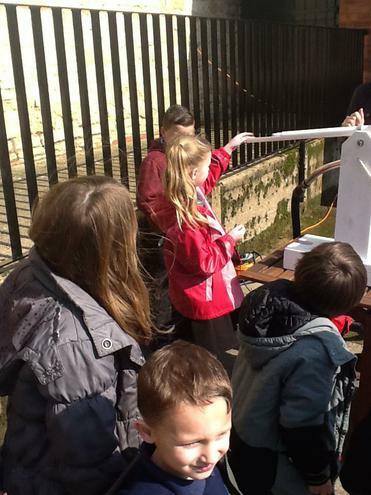 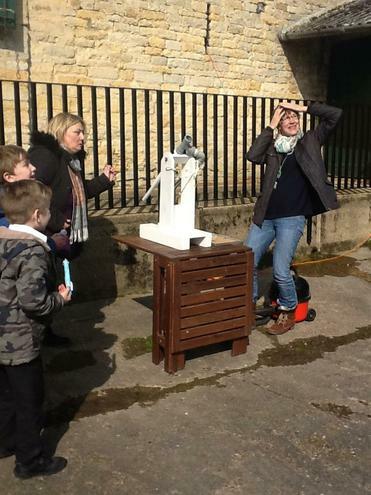 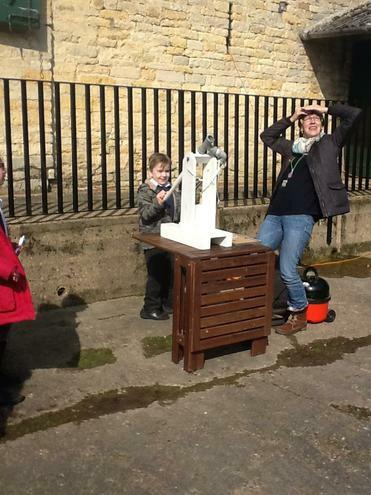 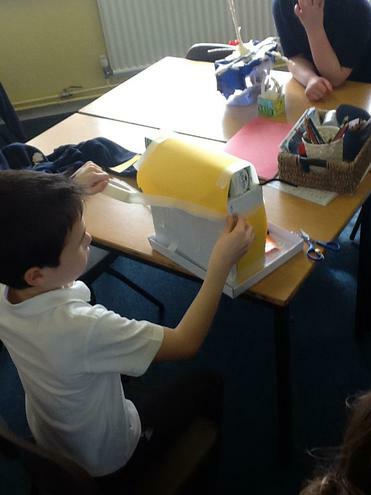 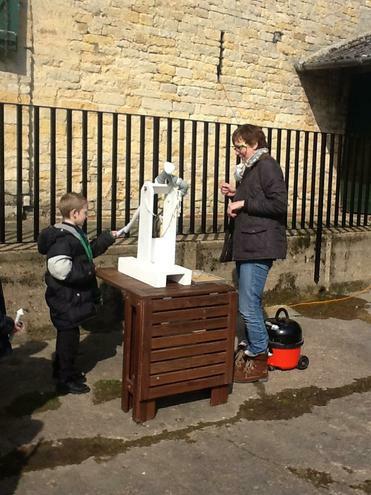 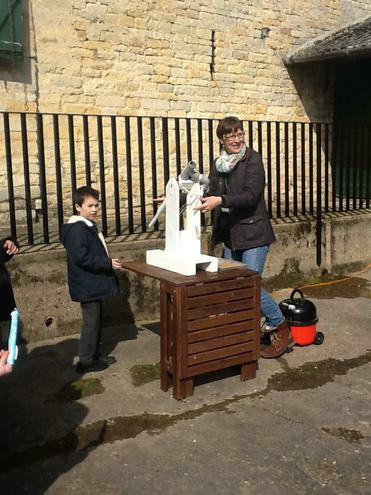 The children also made rockets and fired them with Henry Hoover to help them understand about forces. 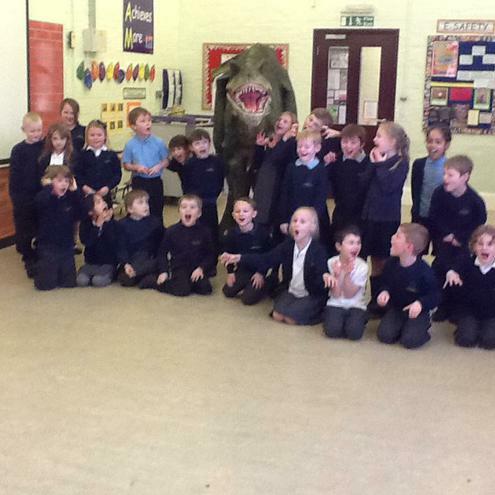 This was a super day for all the children. 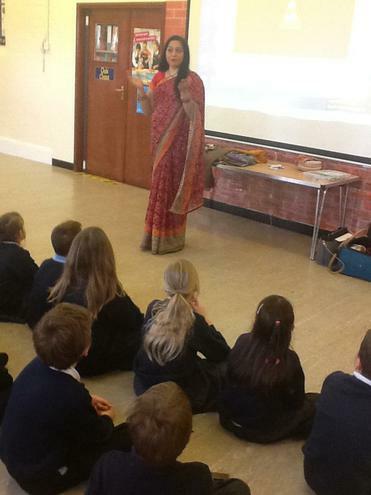 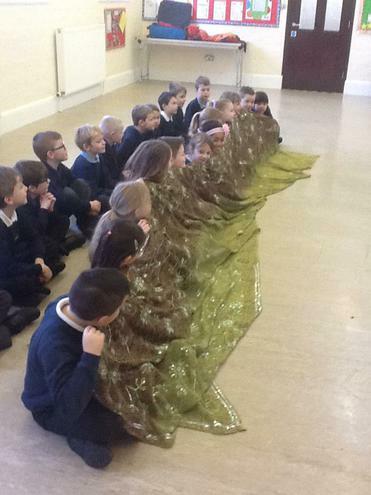 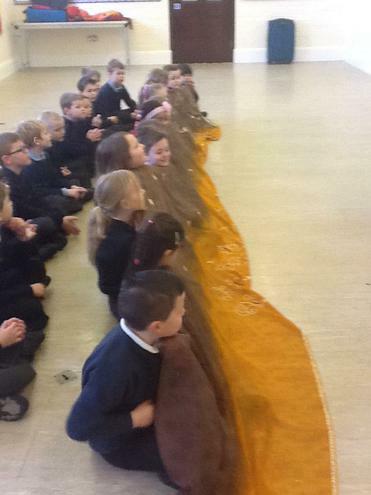 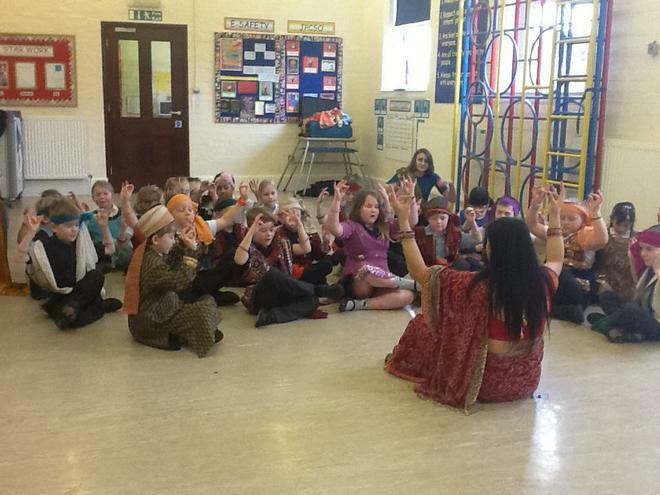 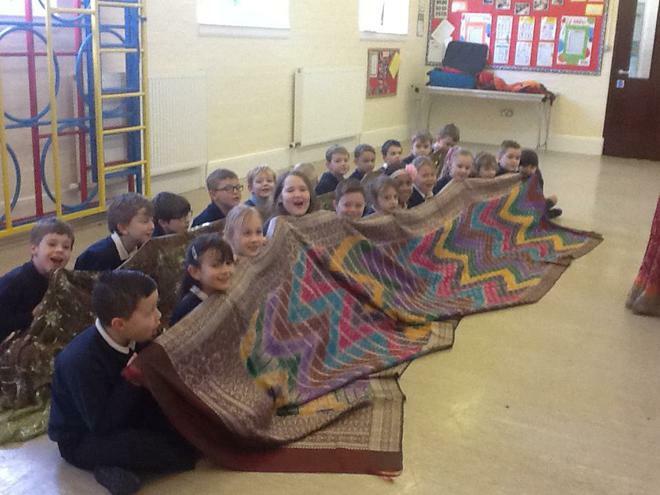 The children have enjoyed a day with Sunita from The Indian Experience. 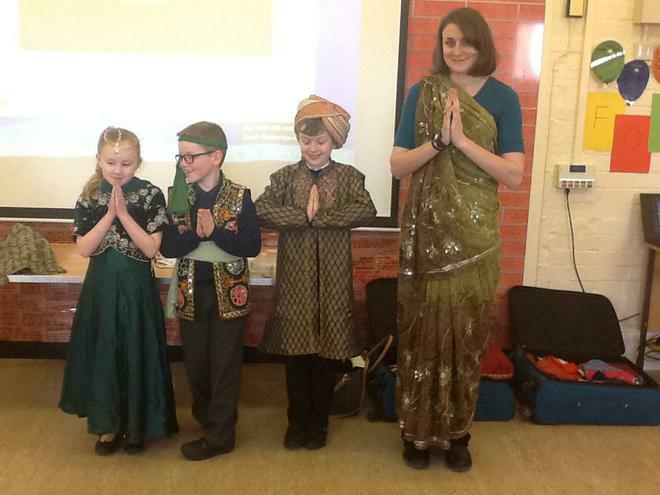 Chestnut got to dress in traditional Indian dress and have a try at some Bollywood dancing. 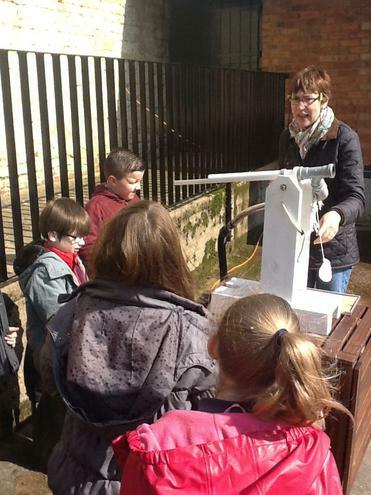 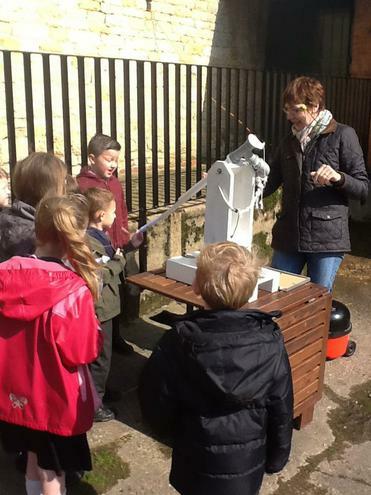 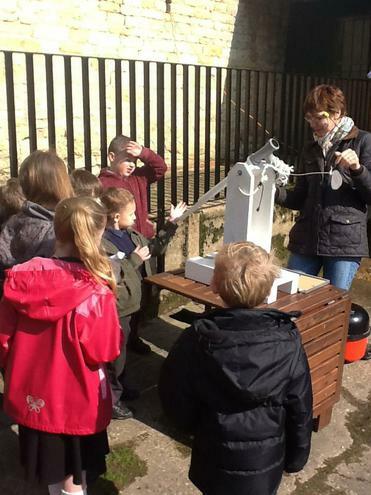 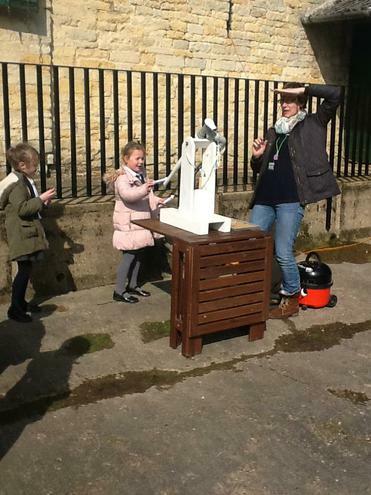 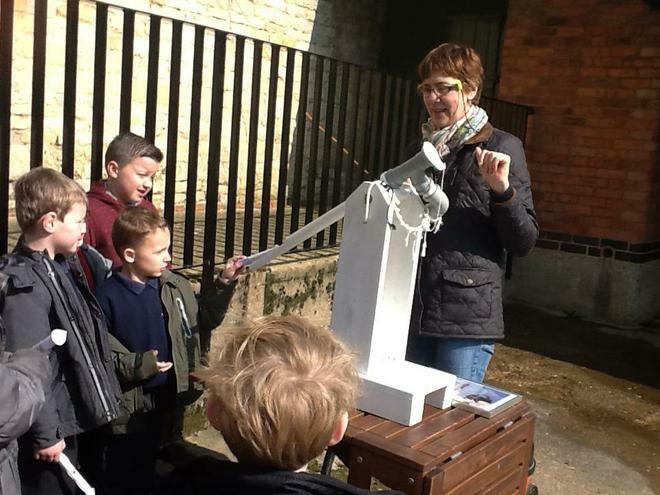 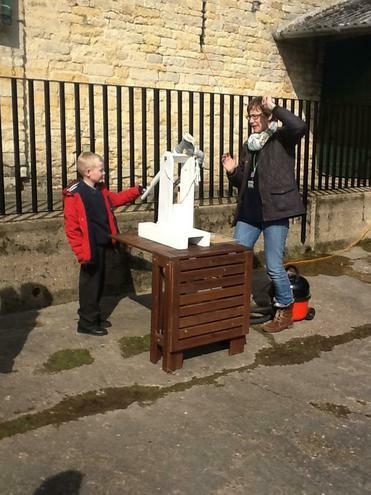 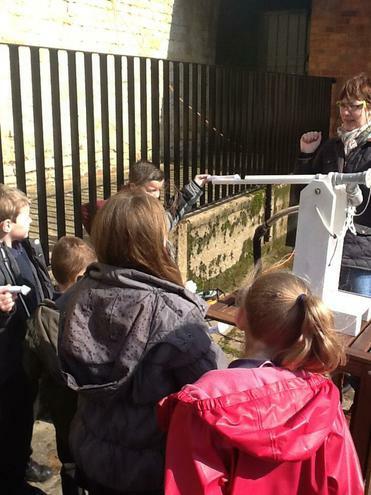 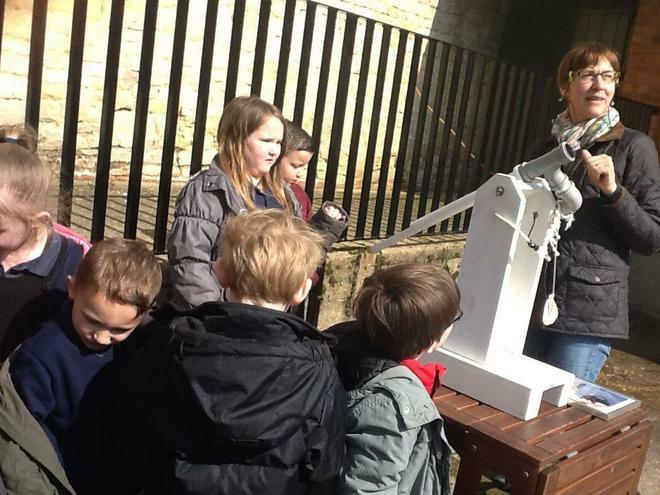 The children all found this to be very fun. 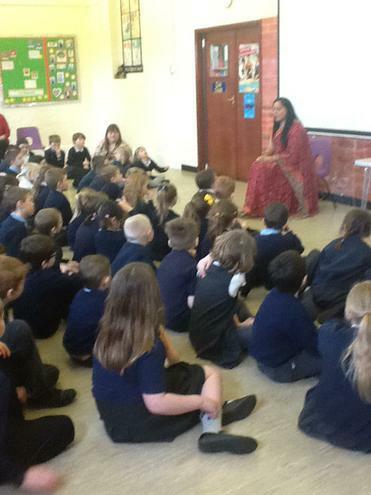 Then Sunita told them the story for Holi and showed the children how the festival of colour is celebrated in India. 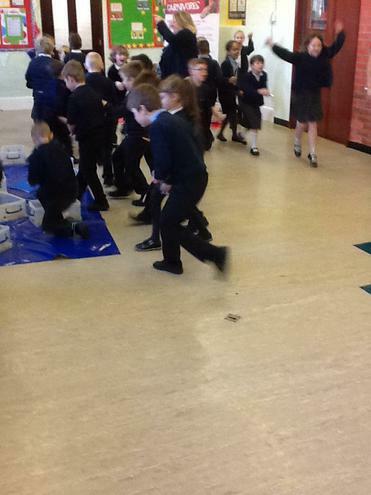 The children though it would be a good idea to get all of the teacher with coloured powder, I was very pleased there was none around. 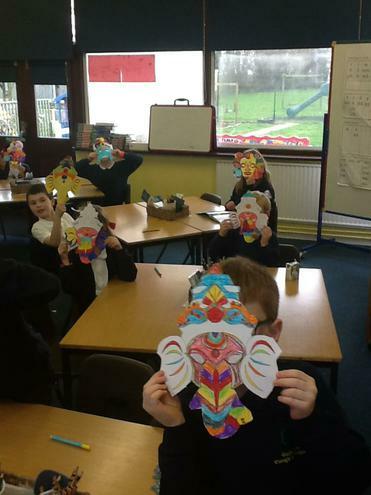 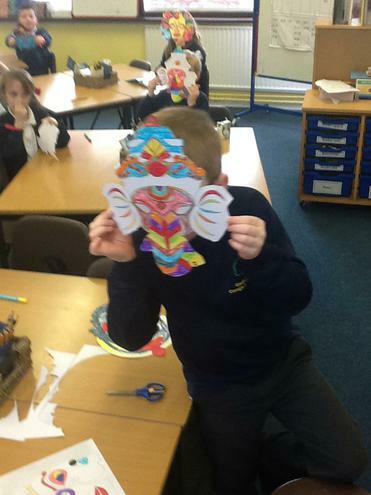 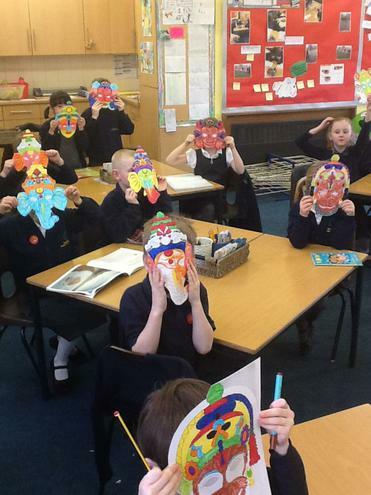 Then the children decorated masks with different Indian Gods. 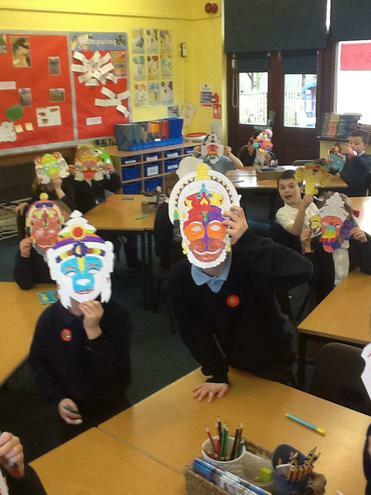 Chestnut found out that there is one God in Hinduism but this God has many faces. 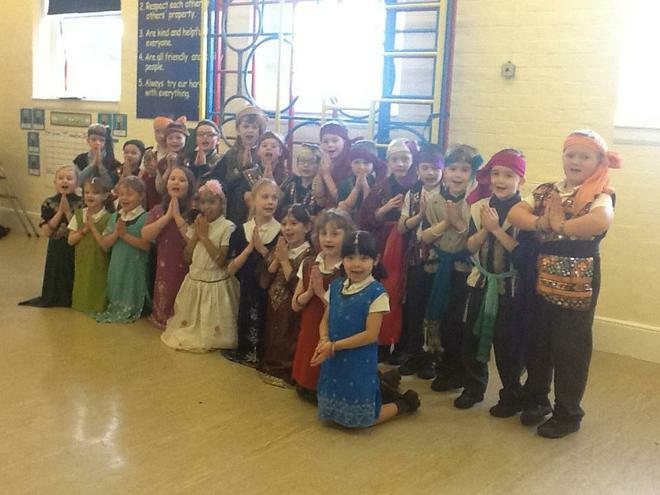 The children had a lot of fun for World Book Day! 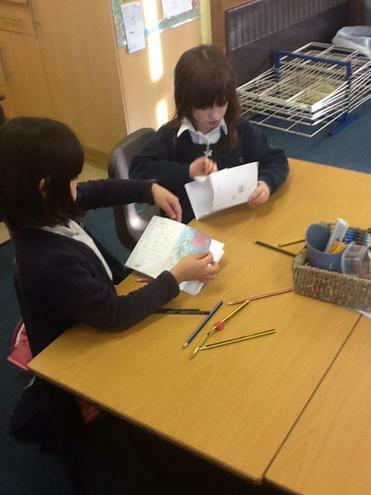 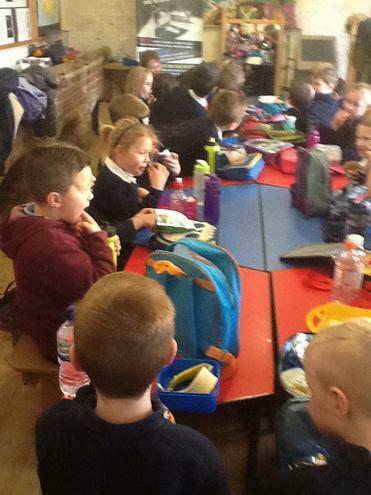 Chestnut Class enjoyed their book swap and listening to a teacher share a story. 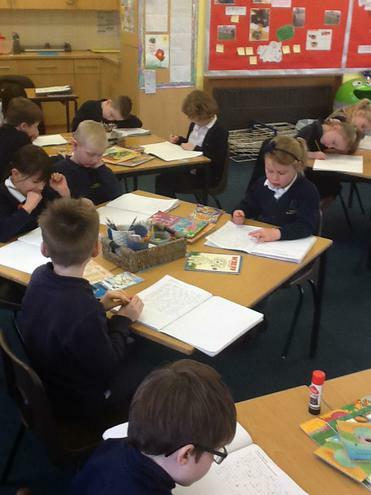 Chestnut then wrote their own short story's using other books for ideas. 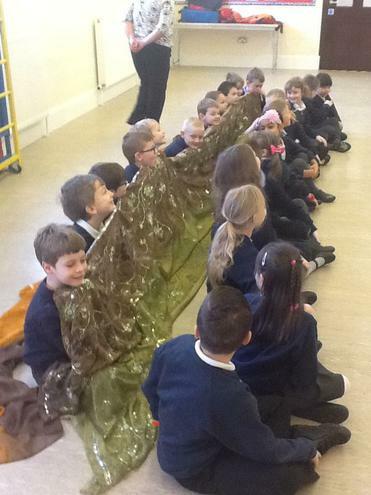 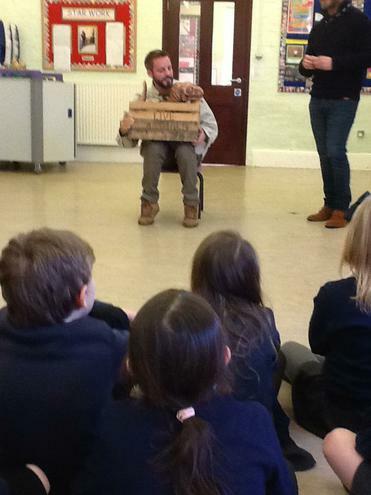 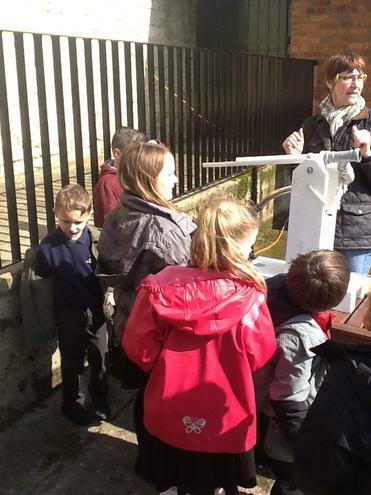 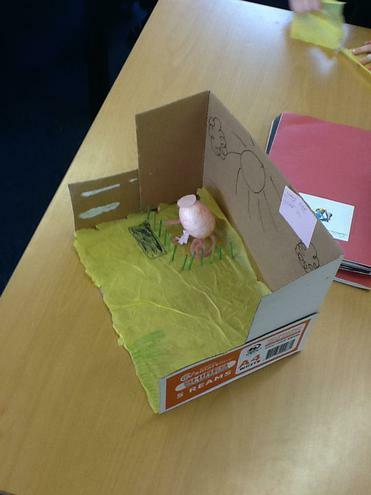 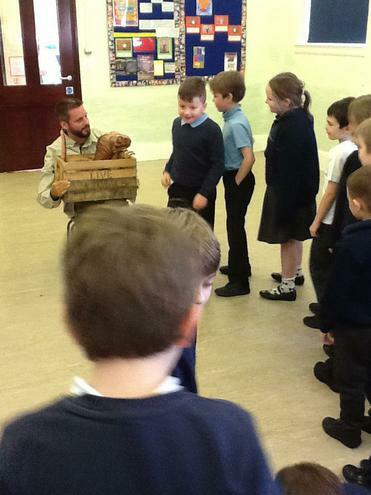 Today the children have been finding out about life long ago. 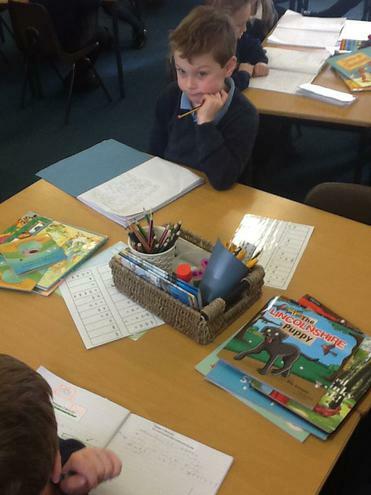 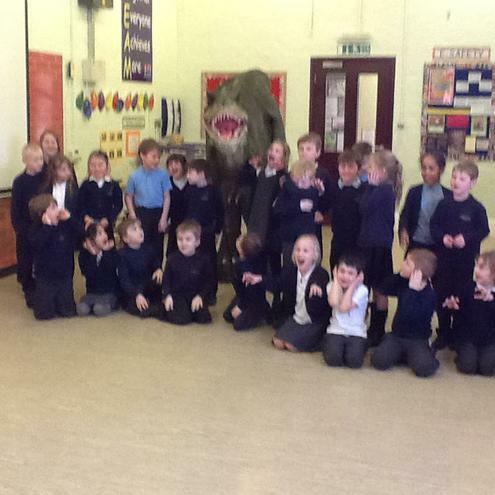 In Chestnut Class the children were reading fact files on a range of dinosaurs and then they were deciding which dinosaur was the best and giving reasons for their ideas. 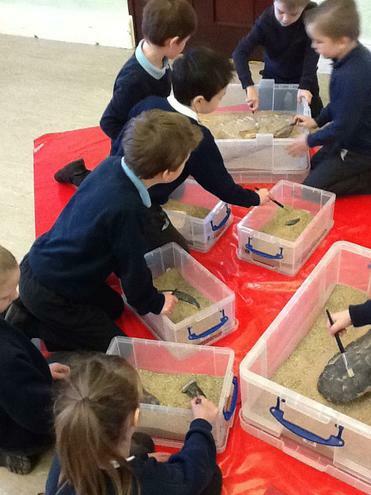 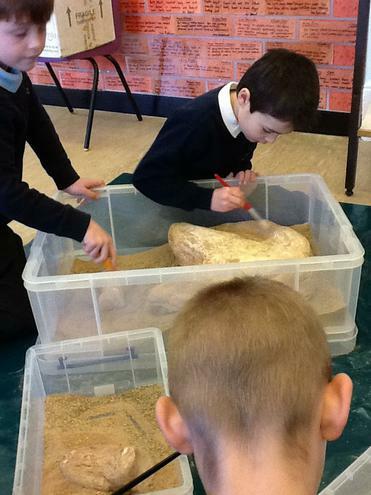 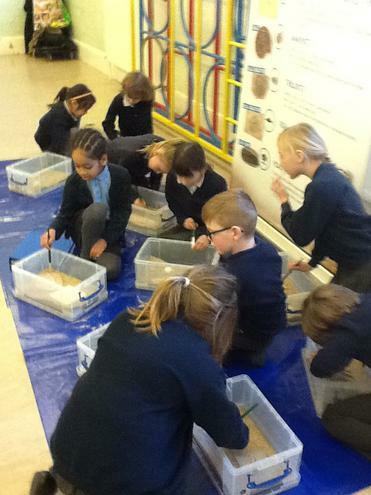 Then the children tried being paleontologists and used brushes to find the hidden fossils. 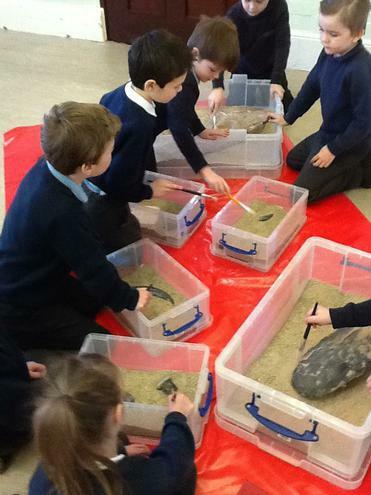 This was very good and the children could all identify the fossils they found using the chart. 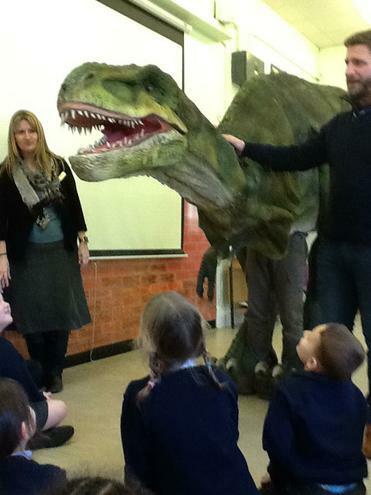 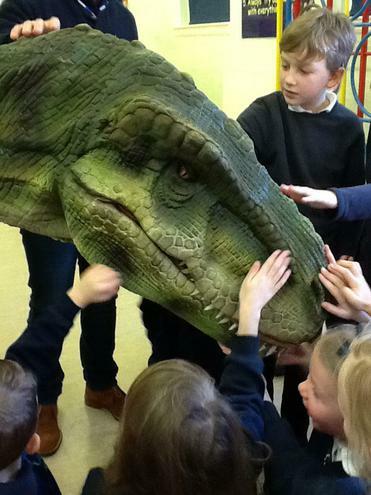 This afternoon the children got the chance to meet two very special dinosaurs, Baby Jack and Sophie. 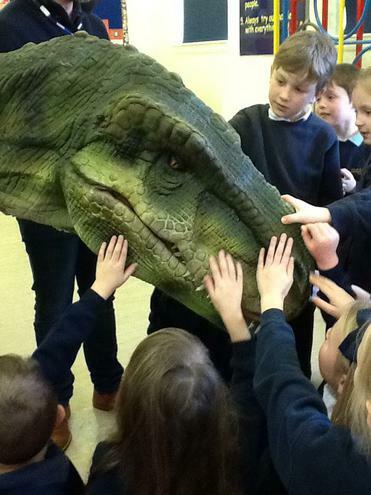 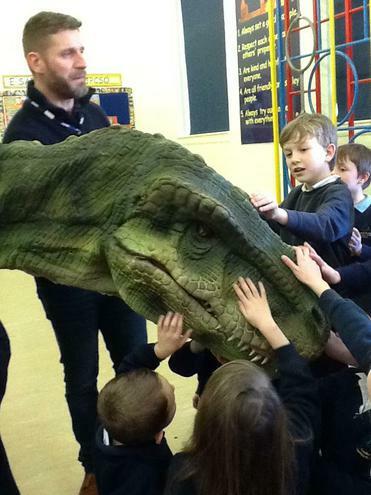 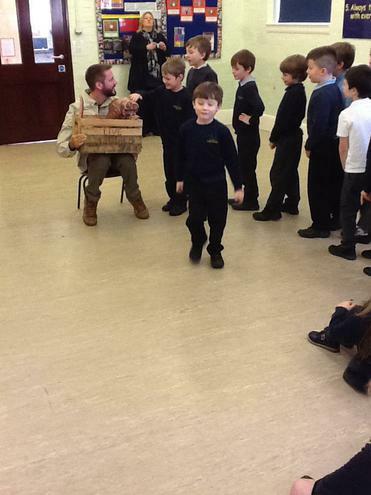 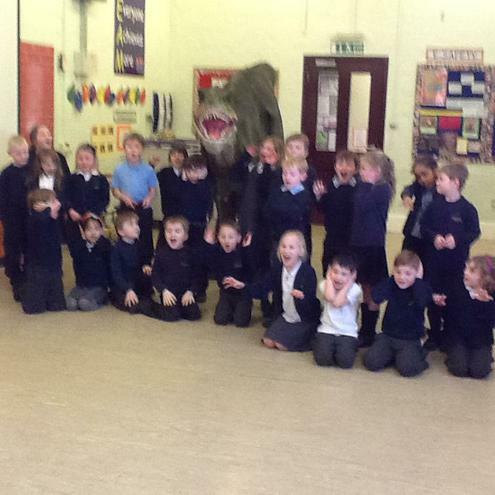 I can say that they were very good dinosaurs and the children liked meeting them both. 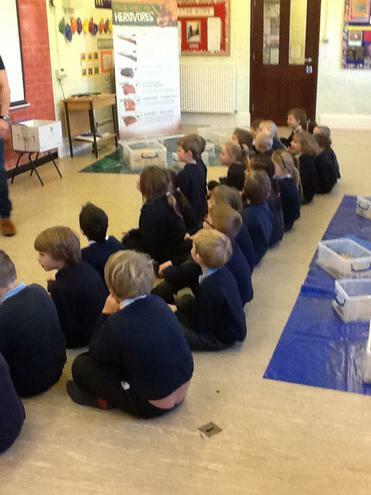 A very exciting day.